We’ve published a series of posters specifically for cloud architects. 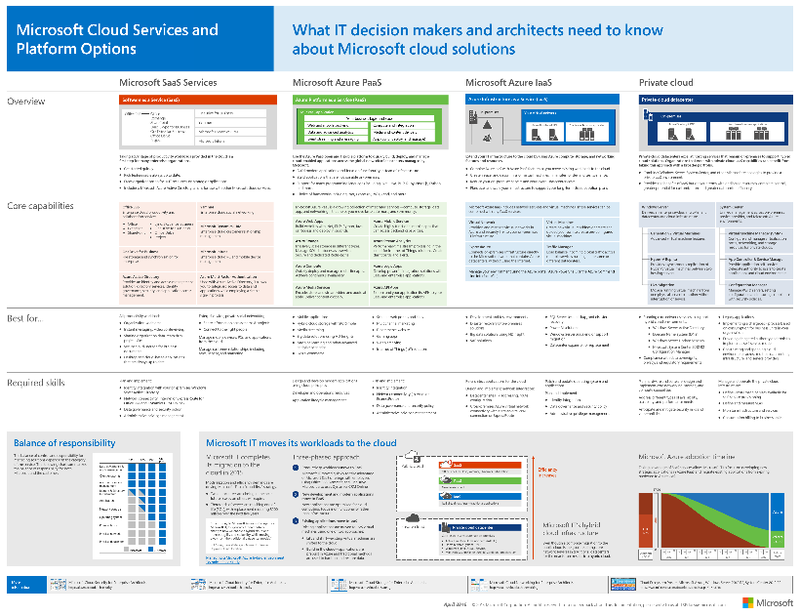 These architecture posters give you information about Microsoft cloud services and platforms, including Office 365, Microsoft Azure, Microsoft Intune, Microsoft Dynamics CRM Online, private cloud datacenter, and hybrid on-premises and cloud solutions. IT decision makers and architects can use these resources to determine the ideal solutions for their workloads and to make decisions about core infrastructure components such as identity and security. This is list is growing constantly. There will be 4 additional posters published for Office 365, for example.